Penn Bets got a look this week at the blueprints for Parx’s permanent sportsbook facility, which Senior Vice President of Sports and Interactive Matt Cullen revealed will be another eight-figure expenditure. Cullen says the book will probably open in April 2019, maybe March at the earliest. It’s going to be located in the north corner of the casino — or, to those familiar with the property layout, the back left corner, next to Liberty Bell Gastropub. Parx isn’t waiting for next spring to take its first bet — not when the casino is about 20 miles from downtown Philadelphia and there are important Eagles and 76ers games to bet on right now. 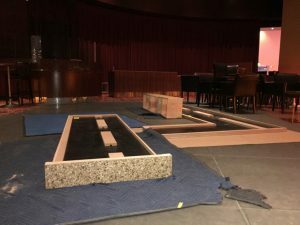 The 360 Lounge is being converted into a temporary sportsbook, and workers just “broke ground” on the build-out on Tuesday. For now, there isn’t much to see once you get past the sign that’s been up since mid-September, alerting patrons that 360 is closed to make way for the sportsbook. 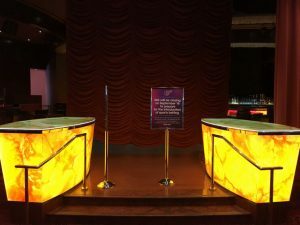 There are tables and chairs pushed to one side, what appears to be a giant digital betting board behind the bar, and various counters being assembled. When it’s finished, there will be seven betting windows and 12 self-service kiosks, with 30 more kiosks throughout the casino. “We don’t know the exact start date, we’re hoping it’s going to be the end of November, maybe the beginning of December,” Cullen said. “The gaming board has told us, essentially, ‘When you’re ready, you can go live,’ once we have their blessing. So we’re working toward that, feverishly. Parx staff is also overseeing the build-out at the South Philadelphia Turf Club, which falls under the same Greenwood Gaming ownership umbrella. Parx has partnered with software provider GAN to power its online casino product, and that includes an online sportsbook and mobile app. 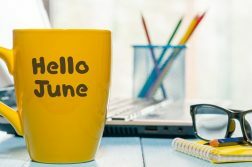 The timeline there falls right in between the temporary sportsbook and its permanent counterpart, with Cullen projecting January or February of 2019. The Parx online gaming platform will span slots, table games, poker, and sports betting, all with one unified player wallet, Cullen confirmed. Parx already has a play-money social casino product, but you can expect something entirely different when the real-money site launches; Cullen says a “complete revamp” is underway. 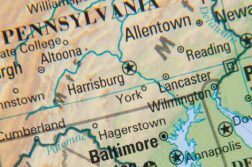 And here’s an interesting twist: Parx isn’t planning to limit its online casino to a single state. 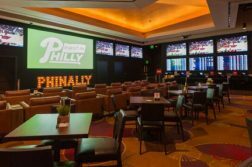 While many have complained about the exorbitant cost of opening a sportsbook in Pennsylvania or acquiring an online gaming license, not to mention the hefty tax rates — 36% of gross gaming revenue for sports betting — Parx doesn’t mind one bit.